Since you are reading this article, it is not hard to guess who you are and what you are looking for. You are a professional software engineer, maybe you are starting off with programming as a student or perhaps you are just a programming geek. You have come here looking for the best laptop for programming but you find yourself asking what is it that you are looking for? Fortunately, we have some tips below that can help you find your perfect laptop. 13.3” – 15.6” screen. It should preferably be FHD. We have excluded 17.3 inch because as a student, you will be moving about. 17.3 inch would be difficult to carry around. Recommended a minimum of 8 GB of RAM, although even 4 GB should work just fine for small projects. Intel i3 processor is perfect for beginners (you can go for i5, but mostly the may want to avoid it if you are very tight on budget). Do not settle for anything less than an Intel Core i3 like Intel Pentium or Intel Celeron. Battery life 5+ hours is great. However, it is also possible to find 10+ hours. If you are a professional programmer or an application developer, you need a laptop that is powerful, convenient and running smoothly. You don’t need overheating or any lag, you left those problems with your first laptop or desktop computer for beginners, now it is time for something better. Processor: As an expert you will have to compile applications or games that require a strong processor. Do not go lower than Intel Core i7 or AMD A10 processors. Make sure that along with a Hard Disk you have an SSD (solid-state drive) disc as the primary drive (at least 256 GB SSD). It loads faster even the biggest projects, so you won’t be disappointed. Battery life: 10-14 hours would be excellent (you would not want to leave your work undone if you are not able to charge your laptop right away). However, if you go for a workstation grade laptop, then do not get disappointed if it only has enough juice for 4 hours. Comfortable keyboard because obviously you will be typing a lot. The screen size is up to you here. You can get premium laptops like Ultrabooks that are 13.3 inch in screen size or workstation grade laptops that are 17.3” in screen size. For programmers that develop more graphically (like creating graphics in games using Unity as engine or 3D modeling), make sure that you have a graphics card that will provide you the best experience. Go for NVIDIA GeForce GTX 1060 minimum or AMD Radeon R9 series graphics card. For web programmers, or mobile app developers, you do not need to have a high-end programming laptop. You can go with 4 GB RAM, but since you might open many applications, consider buying an 8 GB memory. If you are not a beginner, then please consider investing in Intel Core i5 at least. If you are just starting out, you need to first choose the operating system that you want to develop on. The choice depends a lot on how you foresee your future. Do you foresee yourself developing an app for iPhone? If that is the case that you will need to get an Apple Macbook. There three main operating systems to choose from, namely Windows, Mac, and Linux. They all have pros and cons. There is also a fourth called Chrome OS that you find on budget-friendly Chromebook. Unlike the other three, Chrome OS is entirely cloud based so you don’t need a powerful hardware onboard. 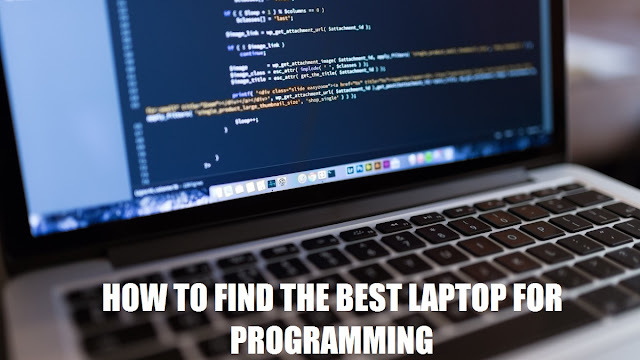 When searching, it is advisable to read the best laptop for programming reviews before you buy them. Remember that it is a tool that is supposed to facilitate your work and learning. Therefore, choosing one wisely is vital to your success.